OK, so I’m finally allowed to talk about this! 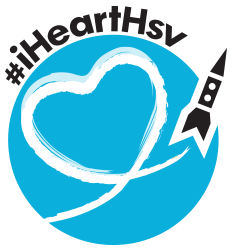 The Huntsville-Madison County Convention & Visitors Bureau has launched a new website for visitors to our awesome city, iHeartHsv.com, and Rebecca and I are regular bloggers for the site! Even if you’re local, it’s well worth checking out — an incredible resource of things to do in the Rocket City (Huge kudos to Jessica Carlton Kumbroch! ), and I am SO very honored to get to be a part of it. I was born in Huntsville and have spent almost three quarters of my life here, but over the last three years, my relationship with “my own little postage stamp of native soil” has deepened in very cool ways. I’m extremely proud to have been picked as part of the voice of me hometown, and very proud to call Huntsville home. ‪#‎iHeartHsv‬, indeed! Comic Science Improv Is Building Momentum! It’s been a little while since I’ve written anything about Comic Science Improv, despite the fact that I’ve been meaning to. Originally, I was going to maybe post about how we were on TV, and embed that video, but since then, we’ve launched our website, and you can see all of our media coverage there, along with some great videos and bios of our players and more. 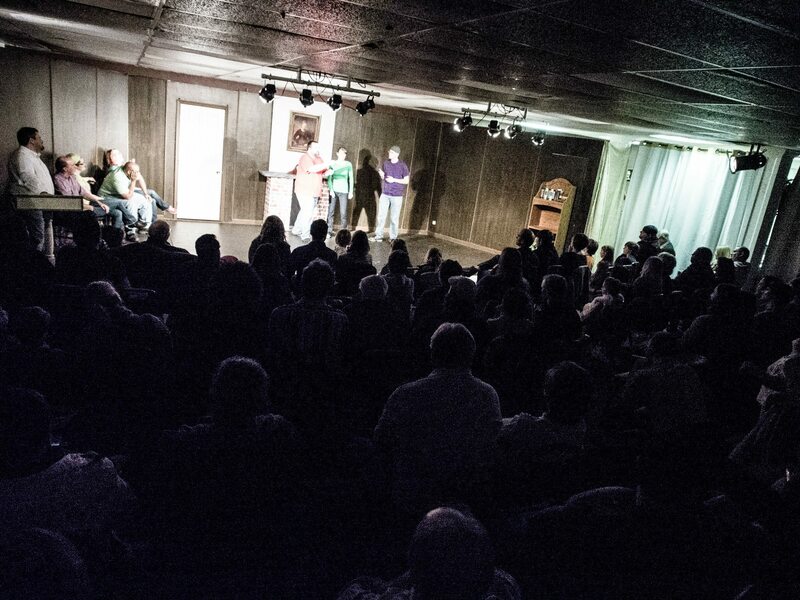 Much more exciting is our last show, during which we packed the house at Acting Up! Academy where we perform on the first Friday of each month. In my seven years of doing improv with Face2Face and Comic Science, I’ve never seen a show with the attendance that we had earlier this month. It’s very rewarding seeing people who had never been to an improv show a few months ago coming back to see us and bringing and referring their friends. It was so much fun watching them watch us, seeing how eager people were to give suggestions and how much they were enjoying the scenes. But far more rewarding was watching the players. We’ve been through some transitions since we started a little over half a year ago, with some old Face2Face faces moving on and some new folks joining us, and it’s amazing seeing how this group has evolved into an amazing team. Everyone is doing incredible work, and is working together incredibly. I am so very proud of their performances, and love watching how much fun they’re having with each other. On Friday, March 1, we’ll be back at Acting Up! for our regular monthly show. It’ll be the last show there at our introductory price of $5 before a small increase next month. Kids 8 and under are free. The show starts at 7:30 p.m.
On Saturday, March 16, we’ll be at Angel’s Island Coffee for a show starting at 7 p.m. Because of the smaller size of the venue, tickets will only be available online, so buy yours before it sells out. On Wednesday, March 27, we’re going to be doing something a little different, participating in a multi-act comedy show at Crossroads in downtown Huntsville. A couple of clean stand-up comedians will open the show, and we’ll close it out. The show will start at 8 p.m. Ticket information and venue directions are on our website. Come join us, and we hope to see you soon!